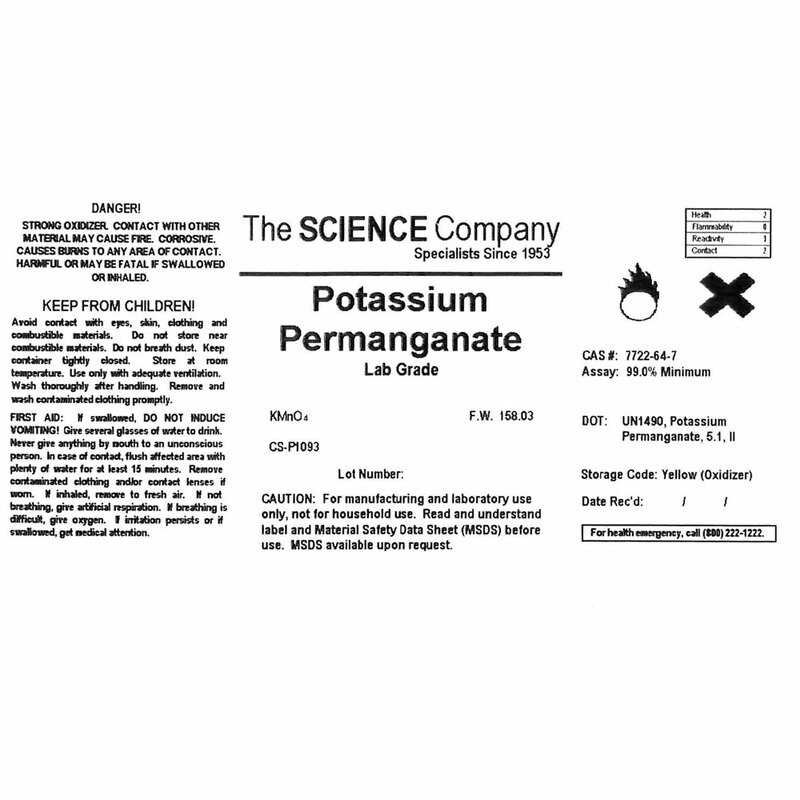 Lab Grade Potassium Permanganate, KMnO4, 100g for sale. Buy from The Science Company. Potassium permanganate is often used with Glycerin to make fire. Shipping note: When Potassium Permanganate and Glycerin are ordered together, they will need to ship in separate containers and thus incur separate shipping charges. 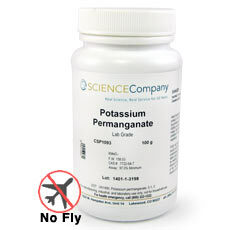 This 100g size Potassium Permanganate only ships to destinations within the 48 contiguous US states using Standard Ground. No air deliveries allowed. Potassium permanganate readily forms dark purple, rhombic crystals. Read our article, "Growing Large Crystals with Seed Crystals" for more information. Put approximately two heaping tablespoons potassium permanganate in a fire proof container or outdoor surface. Add several drops of glycerine to a depression in the top of the chemical. 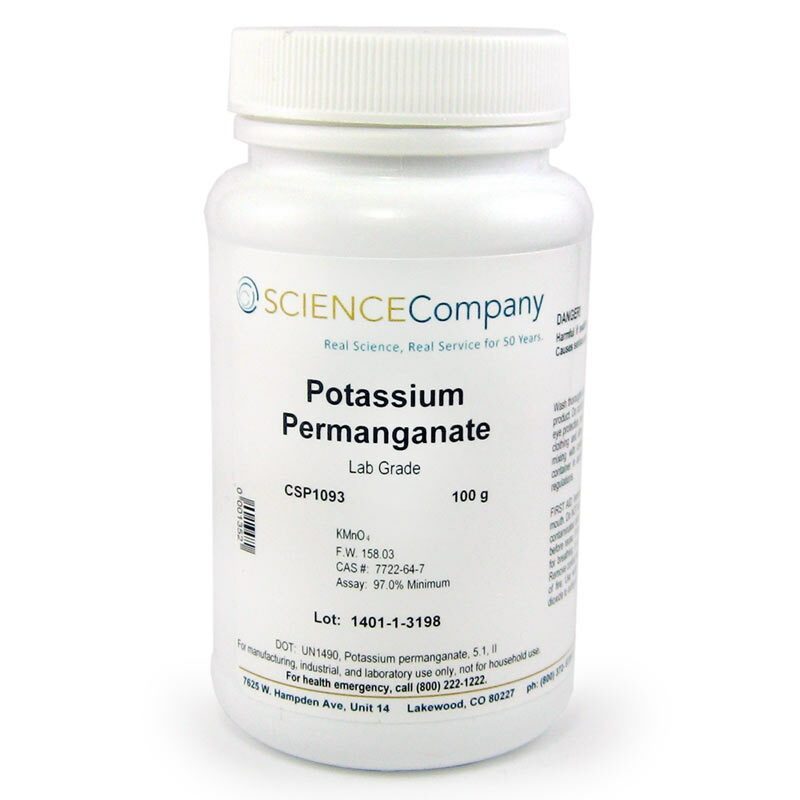 Potassium permangante is a strong oxidizing agent and glycerine is easily oxidized. The "exothermic" reaction begins as the glycerine begins to boil and give off smoke. Eventually a flame will appear and spread over the potassium permanganate and all the glycerine will be consumed.